Our Club Gala Dinner 2017 will take place in the Hogan Suite of Croke Park on October 14th! Don’t forget to email eventsbrigids@gmail.com to reserve your tickets. Eoin Kennedy and Carl Browne play the Men’s Senior Softball Doubles Final 7th October in Croke Park. They top a great bill starting at 3pm and will play Brian Carroll and Tom Sheridan of Meath. Wishing Eoin and Carl all the best in their preparations. Ticket details are on GAA Handball website. Our Senior hurlers play Cuala in O’Toole Park on Sunday 8th at 4pm. Please come out and give a big support to the team in the Senior Quarter Final. There is a supporters bus organised also, info on website. Our Senior Footballers face Plunketts in AFL1 at home next Wednesday evening (11th) at home at 8pm. There was no Lotto Jackpot winner last week and the Lotto draw this week will be in Russell Park on Thursday 5th October, with the Jackpot now €5,400. A huge thankyou to everyone who supports our Lotto and to our brilliant Lotto Committee. Thanks to all who contributed to the All-Ireland Football forecast. The winners were Liam Plunkett, Molly Bourke c/o Willie Bourke, Anna Lisa Regalado, Katie Lyons and Eimear Hayes. Well done to the mentors who completed the Foundation Course last weekend. The Work Placement Initiative Meeting was a great success and an excellent programme to benefit both students and club is now well on the way. Thank you to all involved in the organisation of both. Our Adult Ladies Football teams are looking for new members for our Division 1 and Division 7 teams and Gaelic for Mothers and Others are also recruiting. 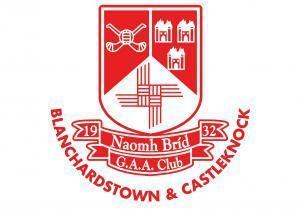 Players of every standard and all ages are welcome, call 0864090371 for details.